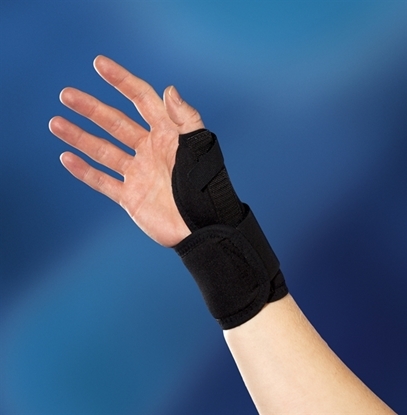 A short wrist support with a thumb piece for effective pain relief. 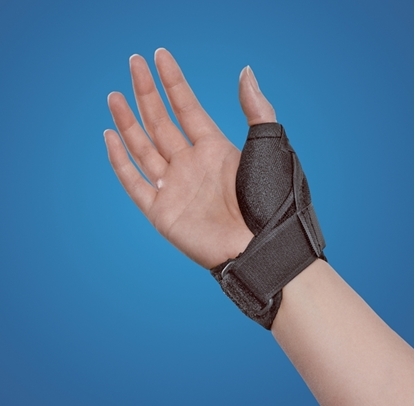 A thumb support designed to stabilize the MCP and CMC joints of the thumb. 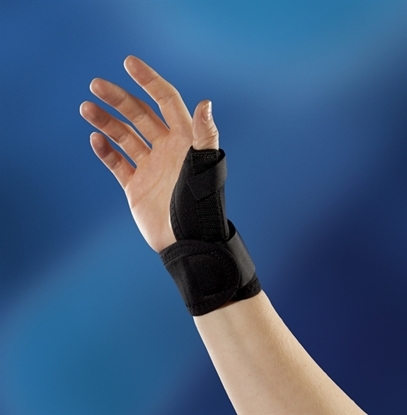 Developed to stabilize both the CMC and MCP joints as well as thenar eminence. 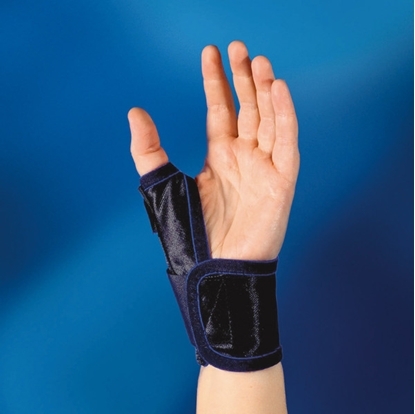 Designed specially for pressure sensitive patients. 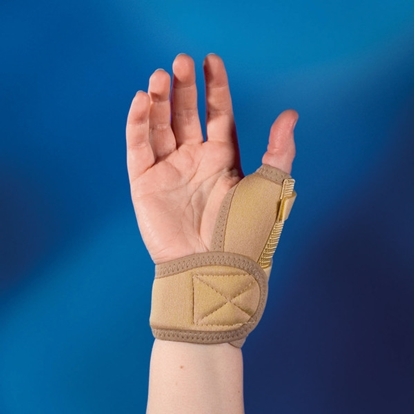 This model has been designed specially for pressure sensitive patients. 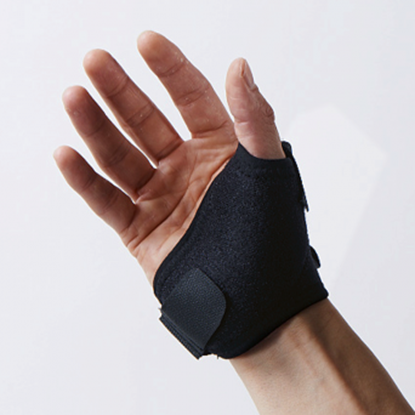 For patients who works in a moist environment and wants a material that dries quickly. 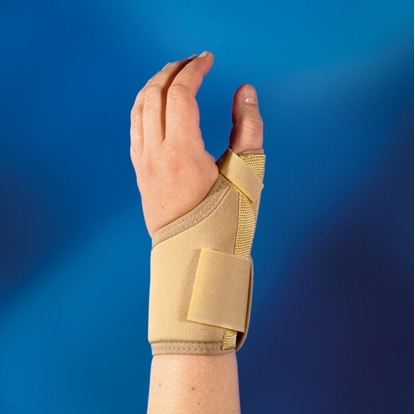 Thumb saddle joint brace offering an excellent fit. 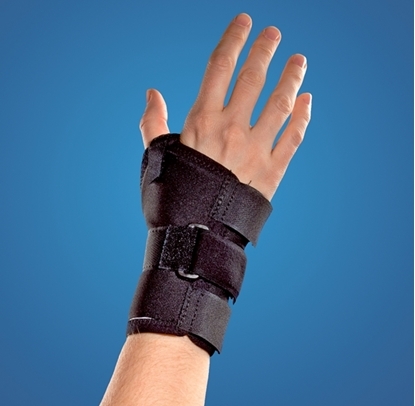 With textile flocking for optimum wearing comfort. Perforation provides ventilation. 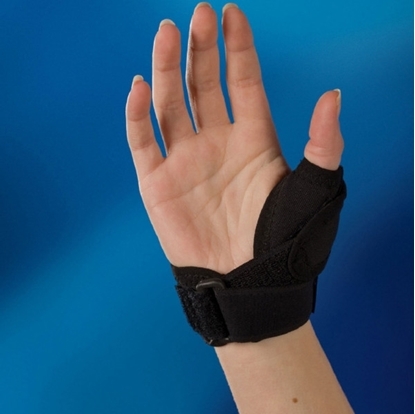 Incorporates a special raised edge in the critical thumb forefinger area (commissure). Washable.